U.S. 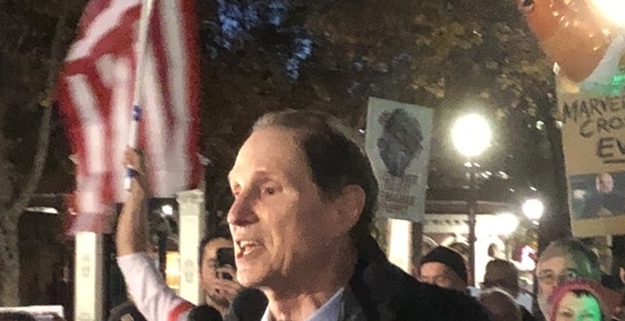 Senator Ron Wyden has announced the date of his rescheduled Jackson County Town Hall Meeting. 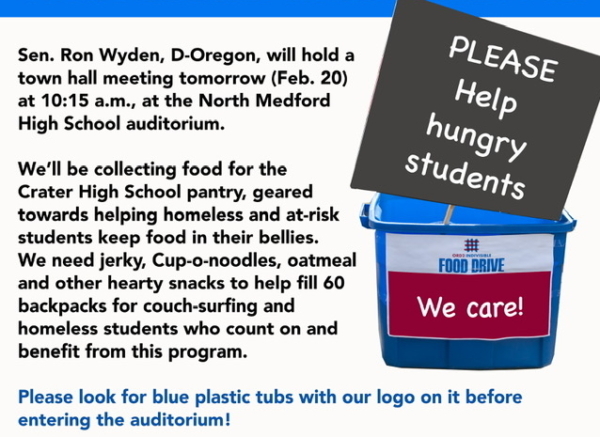 The event is now scheduled for Wednesday, February 20 in the auditorium of North Medford High School, 1900 N. Keene Way Drive, Medford, starting at 10:15 a.m.
Bring your comments, questions, friends, families and neighbors to thank Senator Wyden for his dedication and service, and to share your concerns and ideas. In addition, we will be collecting food items to help restock the shelves at the Crater High School pantry.